Check out the places that have mentioned our reviews or blog posts. Lo Scoiattolo has placed our Batter Place Market article on their website. Here we mentioned their delicious ravioli. Here is the news page from Pane Panelle, which features our write up from the Beer & Balls event. It was one of the best meatballs there, and worth visiting. Check them out here! 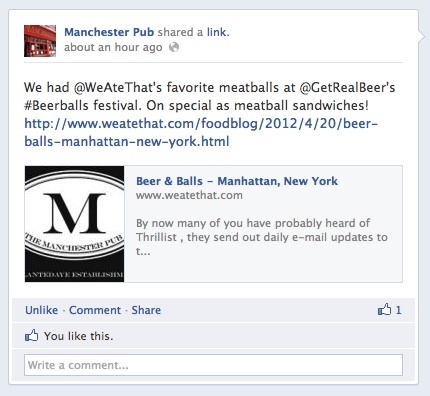 Manchester pub added our favorite meatballs to their menu. Check them out here! Click Here, to read our review of Battery Place Market. See the amazing food and products being offered at one of the best gourmet markets in NYC. 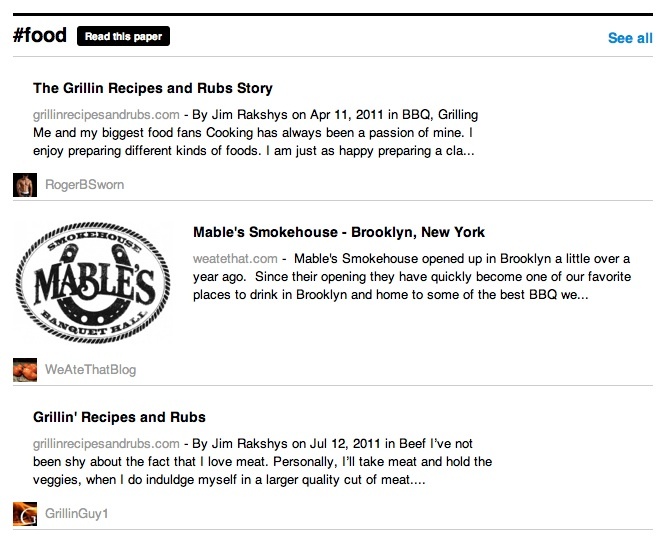 Getting some exposure on Radegast's Press & Review Page, right near New York Magazine & Esquire! To read our review Click Here, Radegast has some of the best food and drinks in Williamsburg! Check out our review featured on the home page for Moose's Retro Cafe! To read our review Click Here, We would like to thank Moose's Retro Cafe for featuring us on their site! Keep up the good work, we plan to come back again and again. Our review of Mable's Smokehouse made it into The Grilling with Rich BBQ Daily check it out. We did a review of Crif Dogs and their amazing Deep Fried Hot Dogs, they saw it and hit us up on Twitter! Thanks for the shout out to the people at Crif Dogs.